lat_time_1.ncl: Creates default black and white latitude vs. time plot and demonstrates the action of the NCL function smth9. Please note that this interface expects the data to be dimensioned as x(lat,time). This may require you to reorder your data. 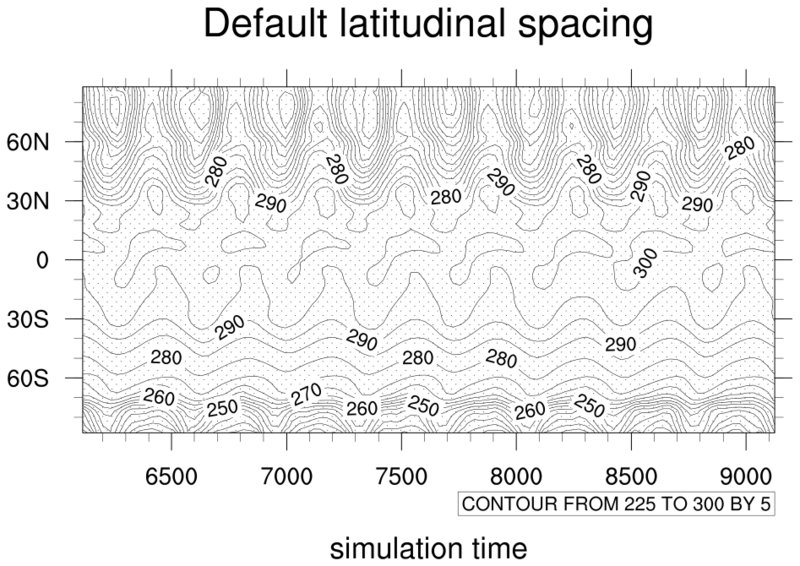 gsn_csm_lat_time is the plot interface that creates latitude v.s. time plots. ShadeLtGtContour and gsnContourZeroLineThicknessF are the shea utility functions that shade the regions and add a zero line contour. 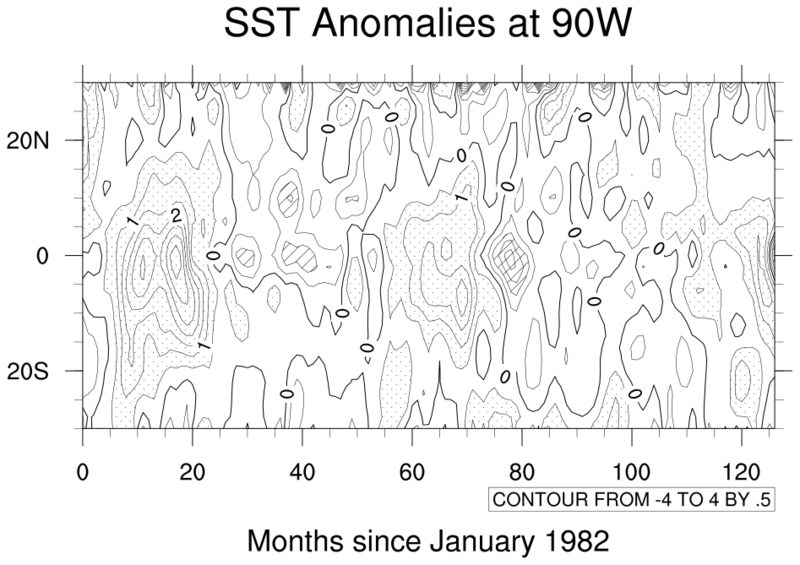 Note: ShadeLtGtContour has been superceded by the more versatile gsn_contour_shade. We recommend you use this instead. 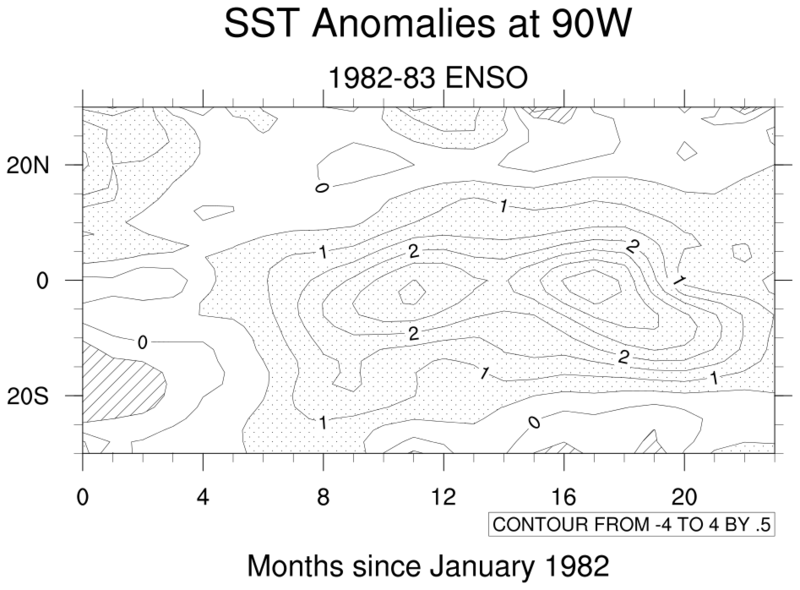 lat_time_2.ncl: Zooms in on the 1982/83 El Nino. 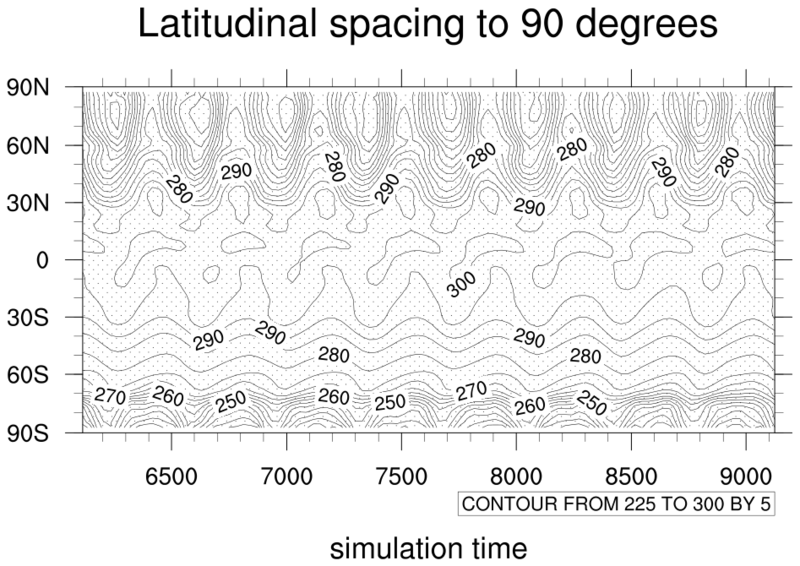 lat_time_4.ncl: Demonstrates default latitudinal spacing, and a function that increases it to 90 degrees. 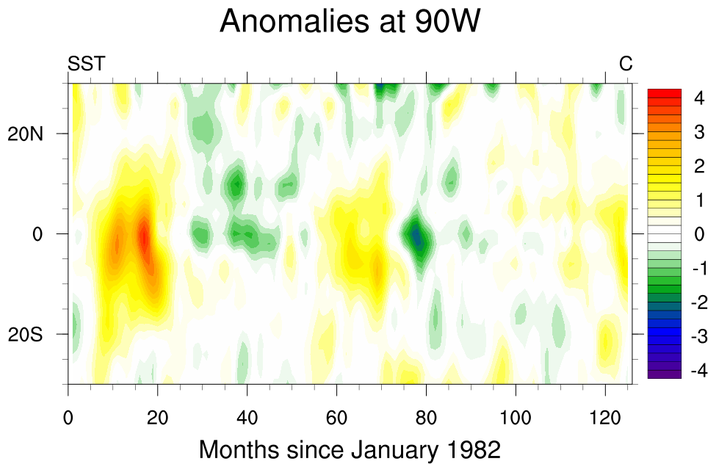 add90LatY is the function that extends the latitudinal labels to 90 degrees.